Things are moving forward at Crush & Create HQ. 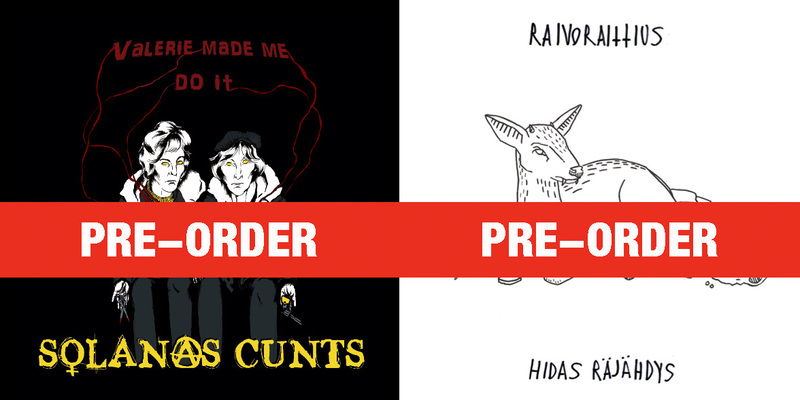 Pretty soon we will hold in our hands both the Solanas Cunts 12″ and the Raivoraittius 12″! O M G. Releasing our first full-length albums! We have opened up a pre-order at a cheaper price (60 SEK) for both the records. Both ready for delivery in the end of July.